The system allows you to control theses sections, add/move them, and also determine what information each sections displays. To edit a section, click the edit pencil beside the section. To delete a section, click the trash can icon beside the section. To add a new section, click the "Add New" button. Allows you to specify the location of the menu item. You can chose to have the option be displayed at the top of left side. 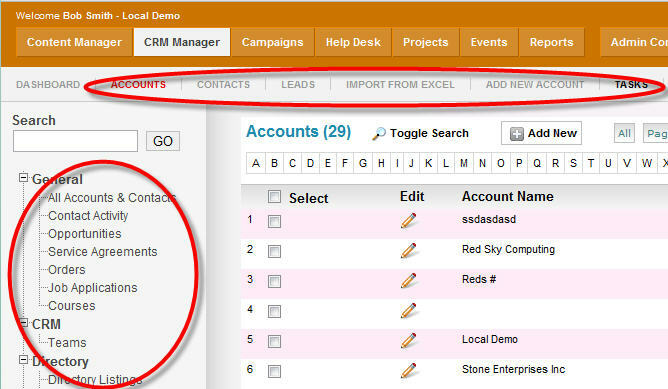 Each section uses a table plugin to display a list of items from any table in the system. 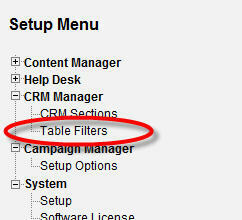 The table plugins are edited/created in the form designer. 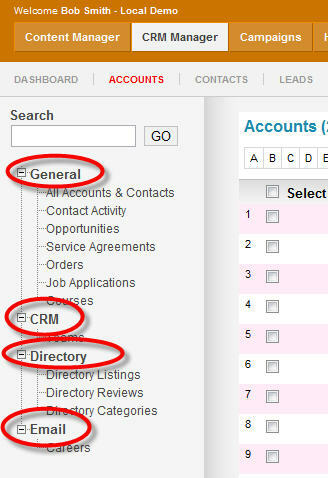 For example, the "accounts" table plugin is used for the Accounts section to display a list of all your accounts. 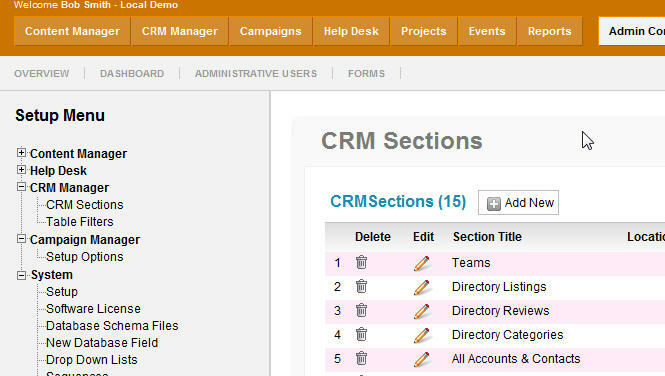 At the left side of the CRM Manager, we can see there are 7 items in the General Category. This is where items go that are NOT categorized at all. In the Directory section three links have been added to that category in the setup. So use this option to keep related options together. This is a developer option. If you know there table structure of the selected plugin, you can enter an SQL query to filter the desired records for the section. For example, if the section should only display accounts that have a account type of "lead" you would enter: custtype='lead'. This field will accept any valid SQL statement. Then you can select the desired filter for the section using this option. 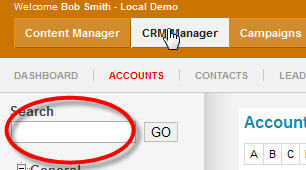 You can specify the order in which you want the item to be displayed in the CRM Area here. You can also use drag & Drop directly on the table to re-arrange the items. 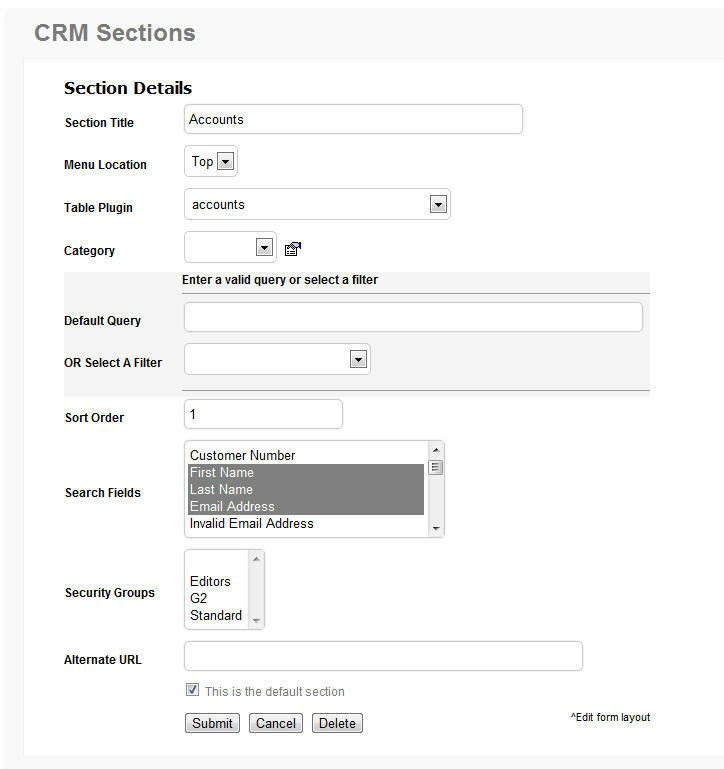 All selected fields will be searched when using this option. This option restricts access to the section to users in the selected security group(s). Allows you to specify an alternate URL overriding the display of the table plugin, to display any other desired module/option.